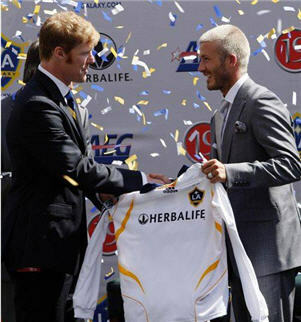 Compania Herbalife este in continuare Sponsorul Oficial al echipei LA Galaxy, unde isi desfasoara cariera sportiva faimosul fotbalist David Beckham. Acest articol a fost adaugat la data de marți, iunie 23rd, 2009 at 9:57 am	in categoriile Herbalife. You can follow any responses to this entry through the RSS 2.0 feed. You can leave a response, or trackback from your own site.